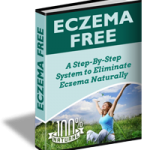 HomeEczemaWhich Eczema Cream is the Best? 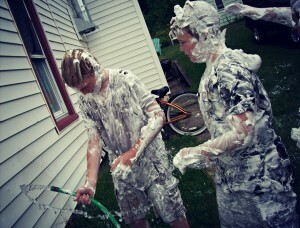 It didn’t matter how much of that junk you put on that red spot, it wouldn’t stop itching. That’s a reasonable question seeing as how that “red spot” is now the whole left side of your arm. What are you going to do about it? You’ve heard that you can use some kind of cream, but which Eczema Cream is the best? Eczema Cream: What is Eczema? Eczema is an inflammation of the epidermis (top layer of skin.) There is no known cause or cure however, several theories have been advanced as to why it occurs. Genetics – If your parents have Eczema, then it is very possible you could have it. Hyper-hygienic Response – You clean yourself so much that you kill the good bacteria that aid in cleaning your skin. Hypo-Hygienic Response – You don’t clean your skin enough. Coeliac Disease– There is a strong correlation between patients who have Coeliac Disease and Eczema. Eczema Cream: How do I Know It’s Even Eczema? If any or all of these symptoms become persistent, call the doctor. Eczema Cream: Which Are the Most Common? The first line of defense against Eczema and indeed all skin conditions is good hygiene, which most experts agree involves cleaning, and then moisturizing. Keeping the skin hydrated is paramount in fighting Eczema, and a good moisturizer is the first “Eczema Cream” you should be using. With proper use, it may be the only cream you need. It is possible to “over wash” when it comes to Eczema. Eczema Cream can prevent many of the symptoms from occurring or worsening. There is no known cause or cure for Eczema, so prevention of the above symptoms is your only recourse after the condition appears. A good moisturizer (low water make-up) is sometimes the best answer. Petroleum Jelly is not a good moisturizer for Eczema, it doesn’t add hydration. Bathing with an expensive, non-prescription or non-recommended creams is a no-no. It can actually hinder the cessation of your condition. Form. 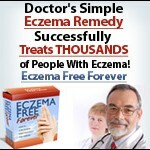 They are very good at relieving the symptoms of Eczema. However, they themselves have adverse side effects if not used properly, and the shortest amount of time possible. So Topical Steroids are good for Eczema, but need to be used sparingly, and only when there is an outbreak of symptoms. New in the field of Eczema treatment, Calcineurins are designed to replace Topical Steroids, as they don’t have the side effects that some of the steroids do. There are issues with long term use however, and the FDA has some safety concerns. Speak with your doctor at length if this is one of the Eczema Cream treatments they recommend. Are two of the most used Calcineurins. The last line of Eczema Cream defenses are the Topical Antibiotics. These are last line, because there is usually no need, as the other topical treatments will work most of the time. There are occasions however, where Eczema progresses, usually due to non-treatment of symptoms, to the point of infection. This usually results in a Staph Infection which can be very serious if not aggressively treated. They have no need for any other kind of Eczema Cream. Others may need to address the problem with Steroids and or Antibiotics, depending on the severity. Whatever the case, talk with your doctor and find out your best Eczema Cream. Which is NOT a good Cream for Eczema? True or False: You can use Topical Steroids all you want.